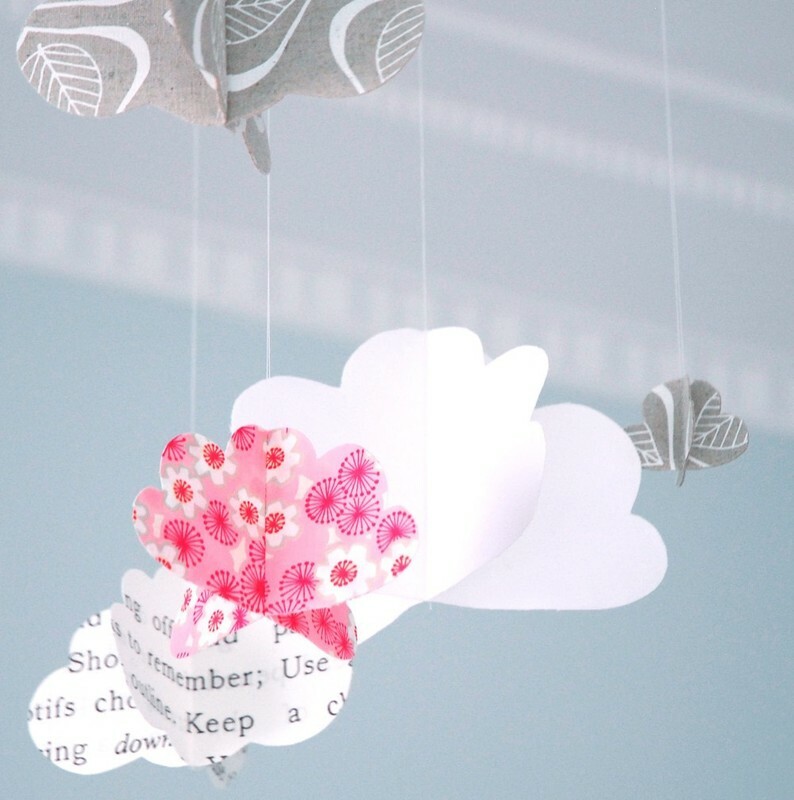 A great stash busting project to hang in a nursery, baby shower or to adorn your craft room. 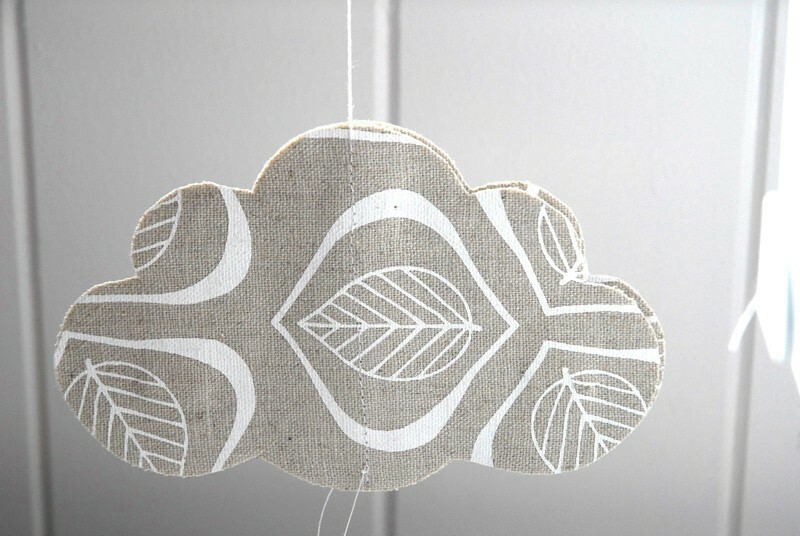 I originally made these little clouds out of paper to hang in my Craft Fair booth. Staring up at them I had the idea of using fabric and created a set for my son's room. He's quite taken with the pink! 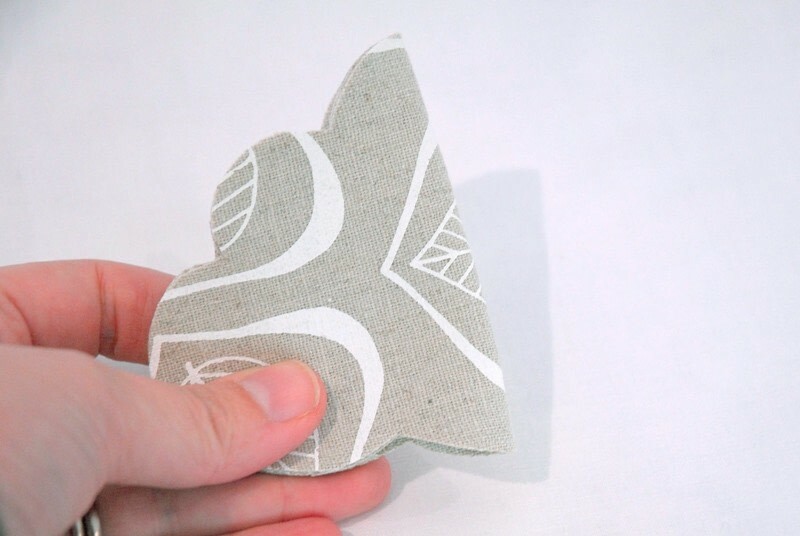 Create a fabric sandwich. 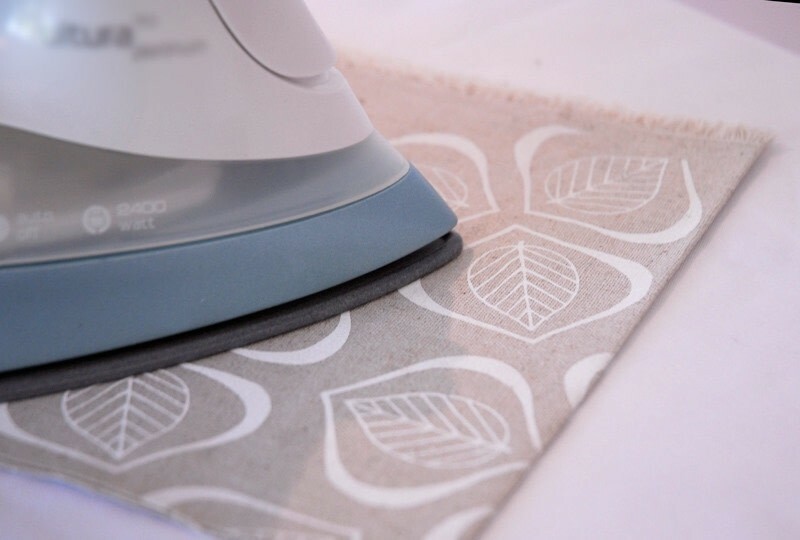 Place one piece of fabric, right side down, on an ironing board. Position a layer of fusible webbing on top of the fabric. 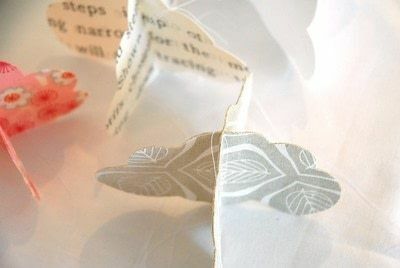 Either fold or place second piece of fabric, right side up, on top of the webbing. Iron well to fuse it all together. Now you should have one stiffer piece of fused fabric with print on both sides. Repeat with as many fabric variations as you like. Place two pieces of your fused fabric together, pin a cloud pattern piece on top and cut out – you’ll end up with two identical cloud pieces. 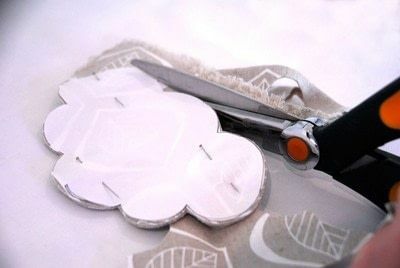 Fold the cloud pieces in half horizontally, squeeze the fold to leave a mark – this represents your centre of the cloud. 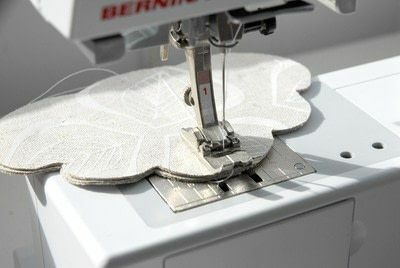 Stitch a line (by hand or machine) from the bottom to the top of the cloud along the centre fold mark. Leave a long tail of thread at the top - this is how you’ll hang the cloud. 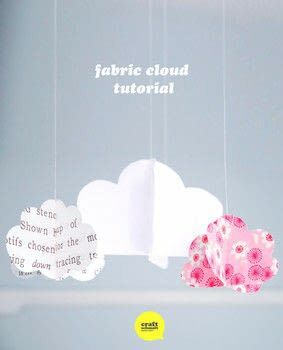 You should end up with two layers of cloud hanging by your thread. 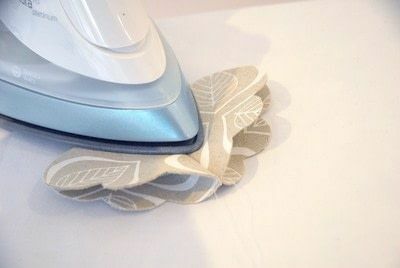 Fan out the cloud and give a quick iron so that the fabric sits at right angles (perpendicular). Repeat for as many clouds as you'd like. Hang them from a light fitting, doorway or even use little removable hooks stuck to the ceiling... and enjoy!